447 Marlborough is located on the north side of Marlborough, between Massachusetts Avenue and Charlesgate East, with 445 Marlborough to the east and 449 Marlborough to the west. 447 Marlborough was designed by architect William P. Wentworth and built in 1886-1887 by Charles A. Dodge, mason, for Francis Jewett Parker and his wife, Anna Whiting (Lyman) Parker. 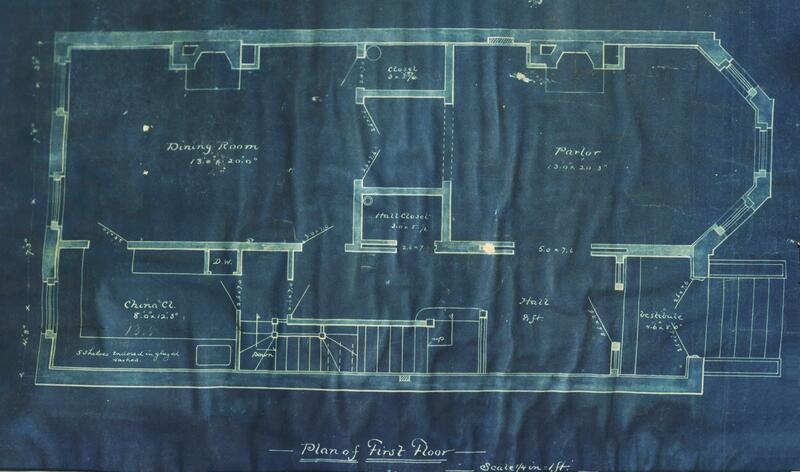 He is shown as the owner on the original building permit application, dated October 19, 1886, on the final building inspection report, dated September 7, 1887. Francis Parker purchased the land for 447 Marlborough on September 1, 1886, from a real estate investment trust formed by Francis A. Palfrey, Francis A. Osborn, and Grenville T. W. Braman. It was part of a parcel the trust had purchased on June 1, 1880, from the Boston Water Power Company. 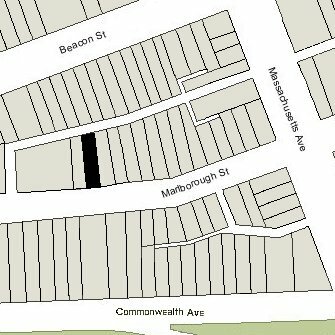 Click here for an index to the deeds for 447 Marlborough, and click here for further information on the land west of Massachusetts Avenue between the south side of Beacon and the north side of Commonwealth. By the 1887-1888 winter season, Francis and Anna (Lyman) Parker had made 447 Marlborough their home. They previously had lived in Newton. They also maintained a home in Jaffrey, New Hampshire. Francis Parker was treasurer of the Monadnock Cotton Mill and the Massachusetts Central Railroad. He had served as a colonel in the Civil War and as a member of the Massachusetts House of Representatives and State Senate, and was an unsuccessful candidate for Mayor of Boston in 1878. Anna Parker died in August of 1903. Francis Parker continued to live at 447 Marlborough with their unmarried daughter, Clara Virginia Parker. Francis Parker died in January of 1909 and Clara Parker moved soon thereafter. In his will, Francis Parker left all of his property, including 447 Marlborough, in trust, with the income to be divided equally among his three children: Francis Vose Parker, Clara Virginia Parker, and Elizabeth Lyman (Parker) Cabot, the wife of William Brooks Cabot. Upon the death of the last of them, the trust assets were to be distributed to his grandchildren. By the 1909-1910 winter season, 447 Marlborough was the home of William Brooks Cabot and Elizabeth Lyman (Parker) Cabot. They previously had lived in Chestnut Hill. They also maintained a home in Jaffrey, New Hampshire. William Cabot was a civil engineer and contractor whose firm undertook a number of railroad, bridge, and tunnel projects, including a portion of the subway tunnel under Times Square in New York City. He also was an amateur anthropologist and explorer, whose special interest was the natives in the arctic areas of Canada. He made numerous trips between 1899 and 1924 to northern Quebec and Labrador, documenting his trips with photographs and in his 1912 book, In Northern Labrador. From about 1921 through about 1924, the Cabots were joined at 447 Marlborough by Harriet (Kehue/Keyou) Estabrook, the widow of Lyman Watson Estabrook. Elizabeth (Parker) Cabot died in March of 1941, the last of Francis J. Parker’s children to die. Francis Vose Parker had died in March of 1903 and Clara Virginia Parker, who never married, had died in November of 1917. William and Elizabeth (Parker) Cabot had four surviving children: Anna Lyman (Cabot) Coolidge, the widow of Joseph Randolph Coolidge, III; Eleanor F. (Cabot) Lane, the widow of Morton Lane; Norman Cabot; and Mary (Polly) Minot (Cabot) Martin Macy, the widow of George Rainsford Martin and the former wife of Josiah Noel Macy. Francis Vose Parker and Mary (Codman) Parker had one child, Gertrude Codman (Parker) Gilbert-Carter, the widow of Sir Gilbert Thomas Carter (Sir Thomas Gilbert-Carter) of Barbados. Consistent the terms of Francis J. Parker’s will, on November 19, 1941, 447 Marlborough was transferred to these five surviving grandchildren. On February 18, 1942, Gertrude Gilbert-Carter transferred her one-fifth interest to her son, John Codman Gilbert-Carter of Philadelphia, and on April 5, 1942, it was acquired from him by his three female cousins: Anna Coolidge, Eleanor Lane, and Mary Macy. As a result, they jointly held a four-fifths interest in the property and their brother, Norman Cabot, held a one-fifth interest. William Cabot continued to live at 447 Marlborough until his death in January of 1949. 447 Marlborough was purchased from the Cabot family in two transactions, on May 27, 1949, and June 9, 1949, by Walter J. Griffin and his wife, Barbara (O’Neill) Griffin. He was a porter at Raymond’s department store. The Griffins previously had lived at 96 Huntington. In August of 1949, Walter Griffin applied for (and subsequently received) permission to convert 447 Marlborough into three apartments (one on each floor). The Griffins lived in one of the apartments until about 1959, when they moved an apartment at 52 Hereford. On November 30, 1959, 447 Marlborough was purchased from the Griffins by John L. Hallett, and on May 21, 1960, it was purchased from him by Kenneth L. Shaw of Ridgewood, New Jersey. In February of 1964, he applied for (and subsequently received) permission to legalize the occupancy as seven apartments. On April 2, 1964, 447 Marlborough was acquired from Kenneth Shaw, by then a resident of 464 Beacon, by Garland Junior College. In August of 1967, it applied for (and subsequently received) permission to convert the property into school offices. Garland Junior College owned a portfolio of 22 properties in the western portion of the Back Bay: 315, 319, 321, 329, 337, 339, 341, 343, 349, 377, 407, 409, 411, 413–415 Commonwealth, 24 Charlesgate East (419 Commonwealth), and 447, 449, and 451 Marlborough (composed of 451-457 Marlborough). In April of 1976, Garland Junior College announced that, because of financial difficulties, it was merging with Simmons College. It subsequently sold twelve of its properties and transferred the remainder – those located furthest west (407-415 Commonwealth, 24 Charlesgate East, and 451 Marlborough) – to Simmons College. Glen G. Grant, trustee of the Commonwealth College Trust, purchased eleven of the twelve properties that Garland Junior College sold. On October 27, 1976, he purchased 447 and 449 Marlborough and 315 and 341 Commonwealth; on January 4, 1977, he purchased 319, 321, 329, 337, 339, 343, and 377 Commonwealth. The twelfth property, 349 Commonwealth, had been purchased in September of 1976, by Andrew Saggese, Jr., trustee of the Drew Realty Trust. In June of 1979, the Commonwealth College Trust applied for (and subsequently received) permission to legalize the occupancy of 447 Marlborough as six apartments (notwithstanding the change in occupancy to school offices approved in 1967, the Building Department indicated that there was no record of the previous occupancy). The property subsequently changed hands and was acquired on August 1, 1980, by Gail Greenberger. On September 15, 1983, she transferred the property to herself and her mother, Jeanette (Cooper) Greenberger, the wife of Joseph Greenberger, of Hampton, Virginia, as trustees of The Chesapeake Trust. 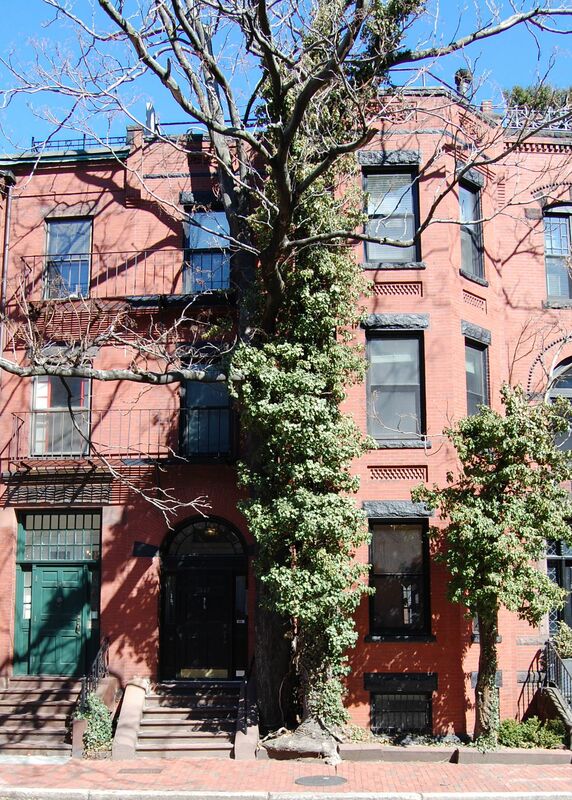 On October 4, 1985, 447 Marlborough was purchased from Gail Greenberger and Jeanette Greenberger by Raymond H. Reef, trustee of the 447 Marlborough Street Realty Trust. 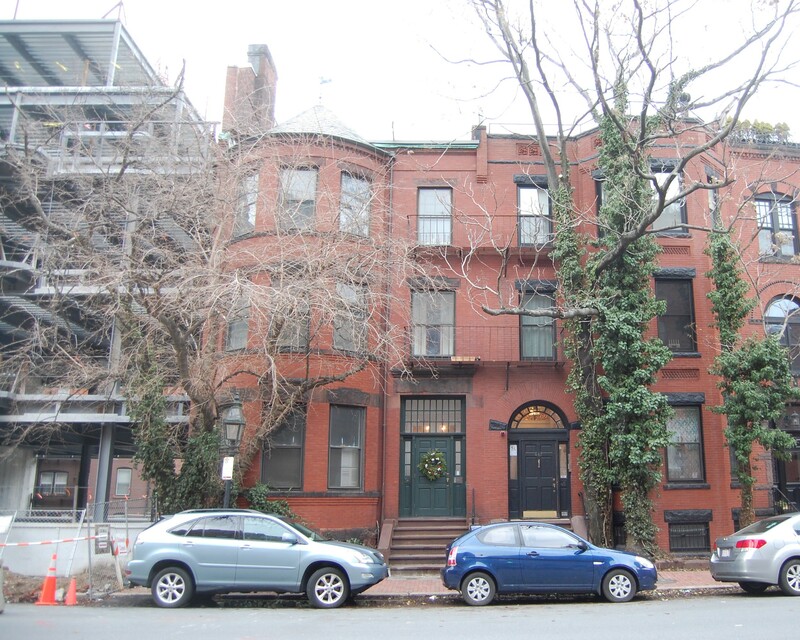 On December 15, 1985, he converted 447 Marlborough into six condominium units, the 447 Marlborough Street Condominium. In September of 2009 and August of 2012, Kenneth S. Frieze and his wife, Tamar Salter Frieze, residents of 445 Marlborough, acquired the two condominium units on the third floor of 447 Marlborough. They applied for (and subsequently received) permission to combine the two units and cut a door in the party wall, providing access between 445 Marlborough and the third floor of 447 Marlborough.